The Big Sea: Part 3: What are you passionate about? The best trainer in the entire world, Berhane, always says: "Take care of the inside of your body and the outside will take care of itself." 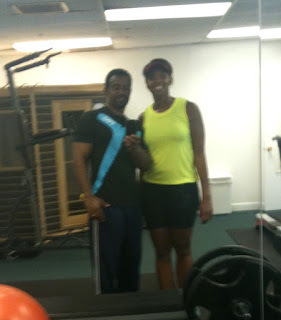 When I first starting training with Berhane, I was sort of eating right and working out. I thought that I could eat whatever I wanted and "get fine." I was very concern about the outside of my body and was not as concerned about the inside of my body. However, after processing and implementing "taking care of the inside of my body and the outside will take care of itself," my body started to change. 1. I workout five to seven days a week, and I am not talking about reading while on the stairmaster or treadmill. I'm talking about working out to that point where I break into a sweat. After a workout, I normally look like I have been in a shower. 2. I am conscious about everything that I put in my body. I need my insides to be healthy and clean. I eat lots of green, leafy vegetables, beans, squash, hummus, peanut butter with apples etc, almost nothing processed. I make sure that I watch my sugar intake. I use to eat Kashi cereal until I realized that they have a lot of sugar, healthy sugar, but it is still sugar. I do slip up from time to time, but know that I am even conscious about my slip ups. I make them GOOD. 3. I only drink alcohol every now and then, and I am a happy hour girl, but now I do those same happy hours, but I have water with a lime, and no one knows that I am not drinking alcohol. I have just as much fun, and I can even run the next morning. Why? Because I did not put alcohol in my body the night before. 4. And, I read, read, read about health....... Knowledge is power, and most of the time when people know better; they do better, or at least I do. 1. I never eat fast food! It makes me feel like crap, and I will not do anything that makes me feel bad. 2. I almost never use artificial sweeteners. Almost never because when I really desire a cup of coffee, I will have it with two splenda and two creams, but I am determined to eventually stop this habit for good. 3. I never, ever go an entire week without working out. I even workout while on vacation. It is so great to go to a new place and see it while biking or hiking. Working out is one of my passions, and I love to do it, and I do it often. 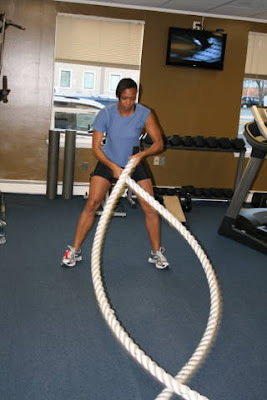 One of my favorite bloggers is Erika Kendall who writes the Blog Black Girls Guide to Weight Lost. Erika always tells it like it is whether you like or not. Personally, I always want to know the hard, cold truth, and the truth normally sends me into action. I don’t care how many miles you run each day, how many pounds of weight you lift or how chiseled your muscles are. You cannot live a fully healthy life if you ingest chemicals to survive. You are cheating your insides – screw what you look like on the outside – if you don’t care for them as much as you care for your abs, your booty, your legs or whatever else you adore. Period. ﻿So, my people, my health is another thing that I am passionate about. Me and Berhane, the greatest trainer in the world! If you are in the DC area, you must try him. I totally agree with you about being healthy and fit!! You REALLY look great!! This is another inspirational blog! Thanks for sharing!! P.s. love those tips!